AnonD-214448, 04 Jan 2014Hi GEkta, Go for it, I also have this handset n it is the best among all new phones in this pr... moreHow is GPS with this phone? I mean does it work fine? Need sincere reply. AnonD-230957, 06 Feb 2014I am using XOLO 2000 from last 2 months and my experience has been really good so far.. the ca... moreis xolo q2000 with heating problem ? subodh7, 05 Feb 2014how to use pattern lock?? ?is it locked??? ?Go to security setting and then select lock screen then which options you want. I have kept voice along with pin..
how to use pattern lock?? ?is it locked???? Akki, 04 Feb 2014can you plZz tell me how to do a OTA update..... It's automatic because if it wasn't the 99% would never update it themselves.ALL you need to do is when you get the notification , connect to your wifi thats all . There is a small down arrow symbol when the update comes. NOte: Make sure you have moved the update.zip from the internal storage to a different place. Im using the phone for almost 3 months now ,its jz gr8.I went to mount Himalaya for trip with -3c the phone work just gr8 will full battery back for more than 2 days,I took some really amazing HD video clips and pics. AnonD-121589, 02 Feb 2014Guys I got the 3rd OTA update today , is there anyone else who has updated it ..how do u update it??? by going to setting about phone update right??? kapil, 29 Jan 2014I m intrested in buying this model. Plz let me know whether there is ebook reading app. If yes... moreDownload kingsoft from google play free !! its gr8 app to do office work. 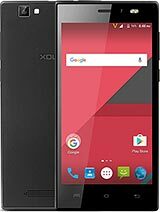 Guys I got the 3rd OTA update today , is there anyone else who has updated it ..
Xolo Q2000 is a decently priced device with pretty good features. It has 5.5 inch IPS display with 1280 x 720 screen resolution , almost equal to half HD clarity. 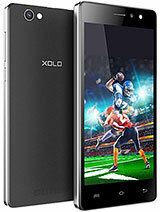 The battery backup is deciding factor for every cell phone especially a quadcore device as Xolo Q2000. 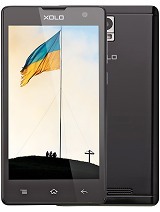 It comes with 2600Mah battery which is low for quad core device with such a huge screen. The look and feel of this device is amazing. You wont get a phone with a price tag of Rs.13500 , comparing other brands Samsung , Sony, LG, Nokia etc. you will have to pay 30k. Despite such good screen size the phone lags in performance. Multi-tasking at times hangs the phone to a stand still and you might have to switch of the device by removing the battery immediately, this being the main let down of the device. I am not sure if the device that I reviewed has this problem in particular. However HD plays amazing without any lags. 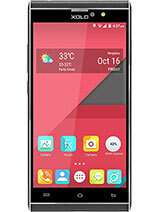 The chipset of this device is made in china by mediatek, antuntu benchmark serves good with its competitors. I can rate this phone 3.5/5 .Rest is upto you. Any custom roms and CWM recovery for this phone. 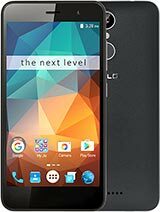 I need to buy this phone but need to know if touch sensitivty is good and do we have custom roms for this phone. ?